JAKARTA, Indonesia — Researchers say an Indonesian government plan to give plantation companies new lands in exchange for restoring areas they destroyed could result in more tropical forests being cut down. Spatial analysis released Tuesday by civil society groups shows 40 percent of the 921,000 hectares (3,556 square miles) designated for land swaps is natural forest. 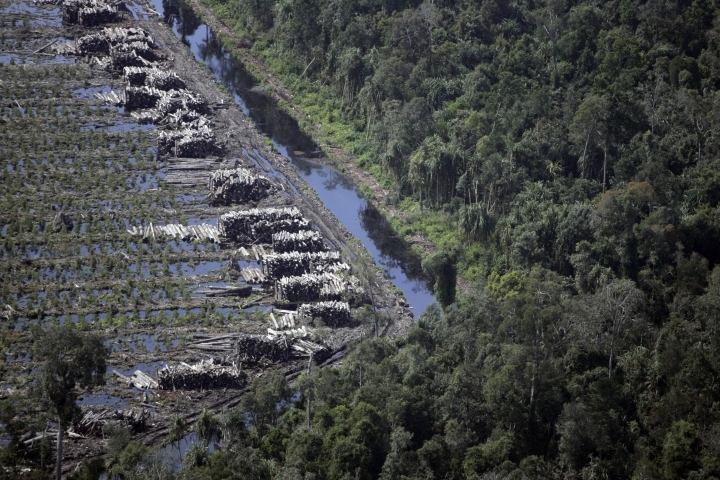 Indonesia is second only to Brazil in the amount of forest cut down in the past decade. The Ministry of Forestry and Environment plan is part of Indonesia's attempts to avoid a repeat of disastrous 2015 fires that swept through vast acreages of swampland that were cleared and drained by pulp and paper companies for industrial plantations. In exchange for "re-wetting" the so-called peatlands, making them unsuitable for plantations, conglomerates such as Sinarmas and April would be given lands elsewhere. The land swap plan has raised concerns among conservation groups because of the potential for new conflicts with communities and fears companies might be given new land even before they've completed restoration of the degraded swampland forests. It's also unpopular with plantation operators because new areas they're allocated could be distant from their factories and mills. 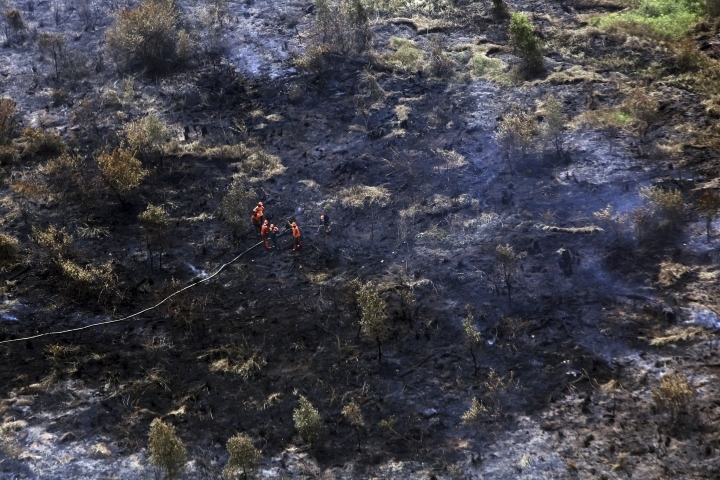 Forestry Ministry officials didn't answer calls. The Anti-Forestry Mafia Coalition, which overlaid government maps of the land swap areas with Indonesia's forest cover map to arrive at the 40 percent figure, said any new land handed out should only come from areas previously approved for industrial forestry plantations. It also criticized lack of a legally binding requirement to ensure companies restore degraded lands at their own expense before getting new allocations. "Without this provision, the companies can simply walk away from the disaster they've created," the coalition of 14 groups said in a statement. "Restoration may never take place and abandoned areas may be vulnerable to catastrophic fires for years to come." A 2017 study by a University of Queensland environmental scientist estimated it would cost at least $4.6 billion to re-wet just the 2 million hectares of peatland designated as a priority for restoration by the government. Degraded peatland makes up nearly a quarter of Kalimantan — the Indonesian part of Borneo — and Sumatra. Aside from forestry plantations, a vast area of peatland was drained in Kalimantan for rice production in the 1990s but abandoned by 1999 due to low productivity, according to the University of Queensland research. The World Bank estimated the 2015 fires cost Indonesia $16 billion and a joint Harvard-Columbia study said 100,000 deaths were hastened by the health-damaging haze that spread across the region for weeks.